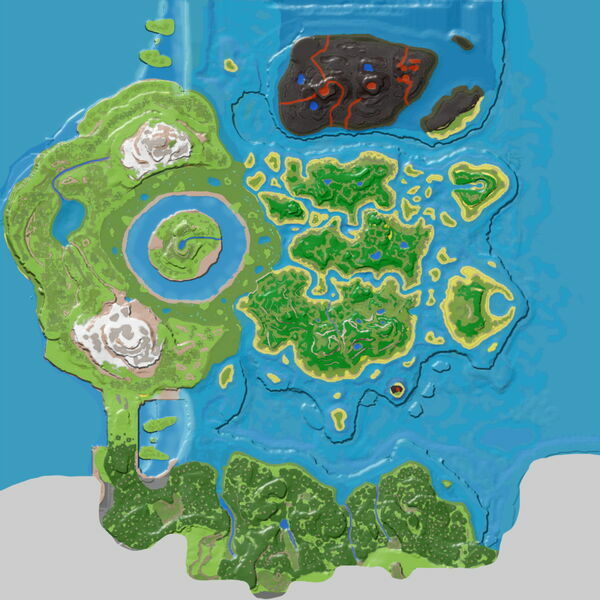 Northern Tropical Island is a survivor-friendly island to the east in the DLC: The Center. The Tropical Island North is one of the easiest areas for a new survivor to start in. There is a deep, cliff-faced gorge along the shores of a secluded cove—an extremely prized location by survivors—that would make an excellent water pen or naval port. Lots of mid-game resources dot the island's mountain and scenic archways, including large amounts of rich Metal and Crystal. Tropical Islands North and South are the easiest areas to get started for new players on The Center. However, late-game resources will need to be imported from elsewhere. This page was last edited on 3 February 2019, at 16:07.